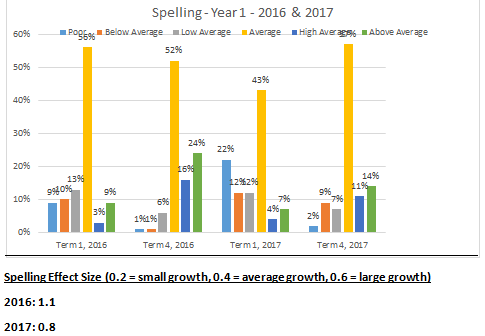 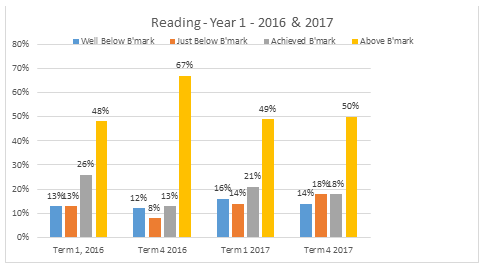 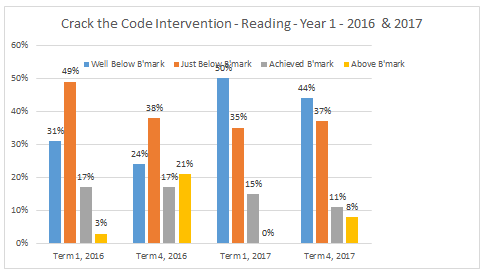 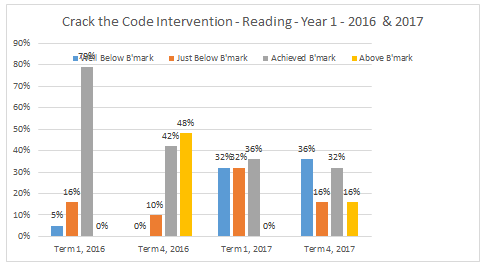 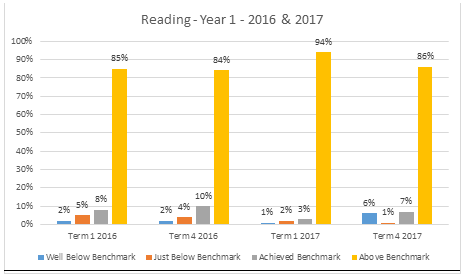 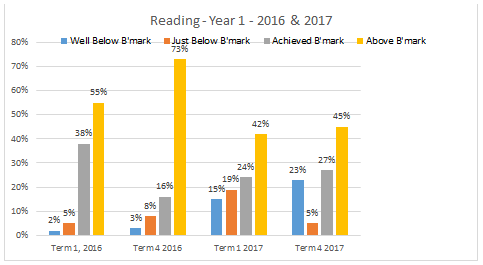 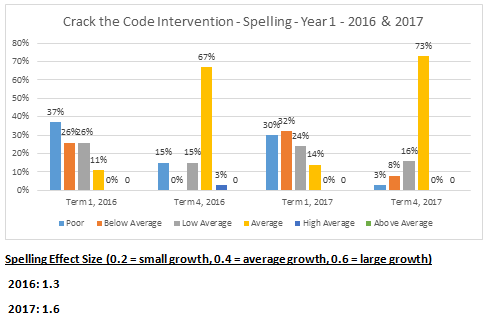 The following Year 1 data is from three schools on the Gold Coast using Crack the Code in their classrooms with their students. 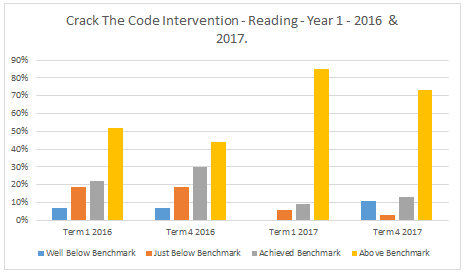 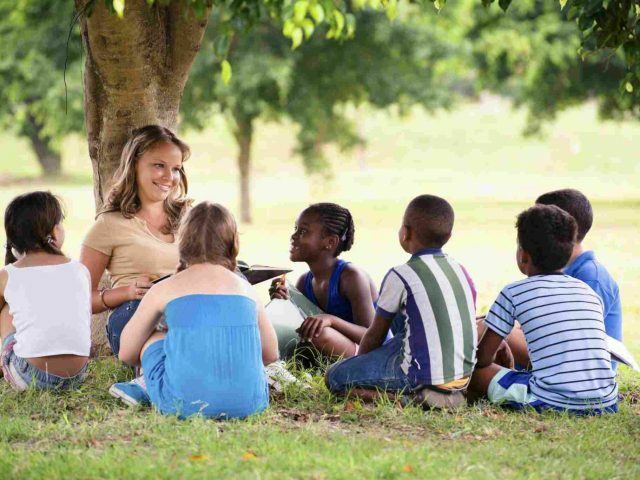 The reading data is subjective meaning that the reading levels of the students are taken straight from the teachers and are as such determined by each teacher’s interpretation of what reading level each student is on. 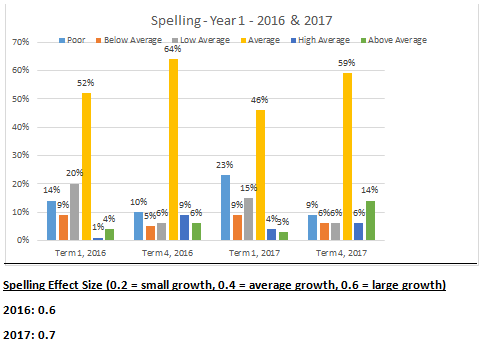 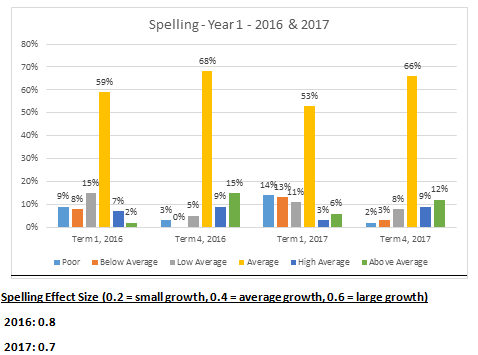 The spelling data is objective and is obtained from a standardised spelling test (The Single Word Spelling) test given at the beginning and at the end of the year. 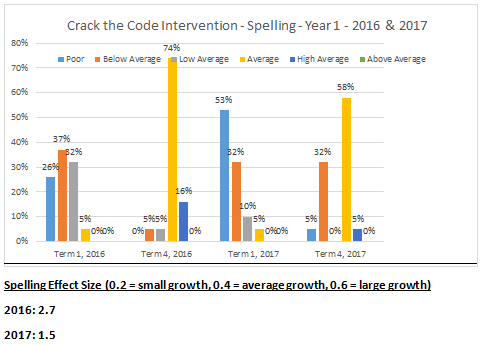 The Crack the Code intervention graph is data from struggling, at risk students who were given intensive, weekly Crack the Code intervention with their parents. 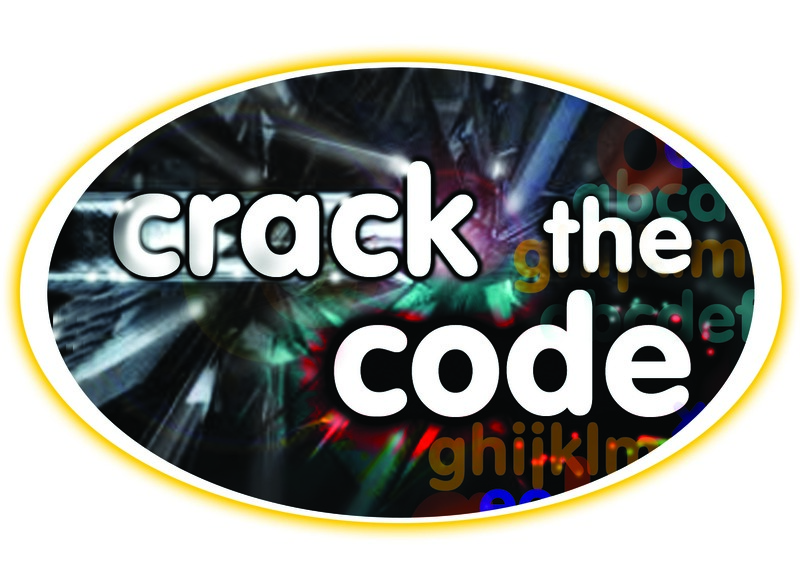 Parents are asked to do follow up practise at home with their children on each of the Crack the Code lessons.